PCWin Note: Batch File Renaming Kit 2.0.3 download version indexed from servers all over the world. There are inherent dangers in the use of any software available for download on the Internet. PCWin free download center makes no representations as to the content of Batch File Renaming Kit version/build 2.0.3 is accurate, complete, virus free or do not infringe the rights of any third party. PCWin has not developed this software Batch File Renaming Kit and in no way responsible for the use of the software and any damage done to your systems. You are solely responsible for adequate protection and backup of the data and equipment used in connection with using software Batch File Renaming Kit. SolveigMM Video Splitter - SolveigMM Video Splitter is a fast tool to losslessly split, cut or trim MPEG-1, MPEG-2, AVI, WMV, WAV, MP4, MOV, MKV, AVCHD, ASF, MP3, WMA files. Batch file support is included. Files joining supported. A-PDF Rename - A-PDF Rename is an utility program that lets you batch rename multiple PDF document based on content, metadata and file attributes within PDF files. You can batch update multiple PDF files metadata(title, author, subject and keywords) as well as. Rename Files - Rename Files - Want to rename files? 5 Best ways to rename files - automatically rename files and batch rename files. How to rename files and how to batch rename files? Rename Files - Download software to Rename files at RenameFiles.net ! Disk Recon - Disk Recon allows you to investigate folder sizes, find duplicate files, examine your disk usage, monitor files and directories and more. New features include batch file renaming, batch attribute changing and file or image preview. 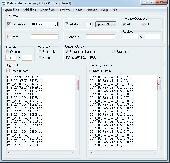 Quick File Duplicator Personal Edition - Very easy to use batch file duplication utility. Batch duplicate files with ease using only a few clicks. Very useful for backing up, testing, and creating thousands of files with one click. With complete unicode support. Batch Files Renamer - Batch File Renamer is a tool to rename files in a batch process, it is a very easy and simple tool to rename any type of file. Batch Files Printing - Batch Files Printing v4.0 Prints DOC, DOCX, PDF, TXT, JPG/Jpeg, html, RTF, PPT, POT, XLS, XLSX, XML etc file in Batch Process. Printing of files can be scheduled for future and prints scheduled files. Entourage Repair Tool - TechTwitt entourage repair tool is meant to repair and restore entourage database like mails, contacts, tasks, notes and calendar things from broken or corrupted RGE file. More Software of "SwMost Inc"
Kidcare Instant Screenshot - Kidcare instant screenshot helps parents to monitor your home PC by periodically screenshots, save as images, you define the interval and store term you can get images record in local PC, USB, LAN afterward.